When will be Bananas in Pyjamas next episode air date? Is Bananas in Pyjamas renewed or cancelled? 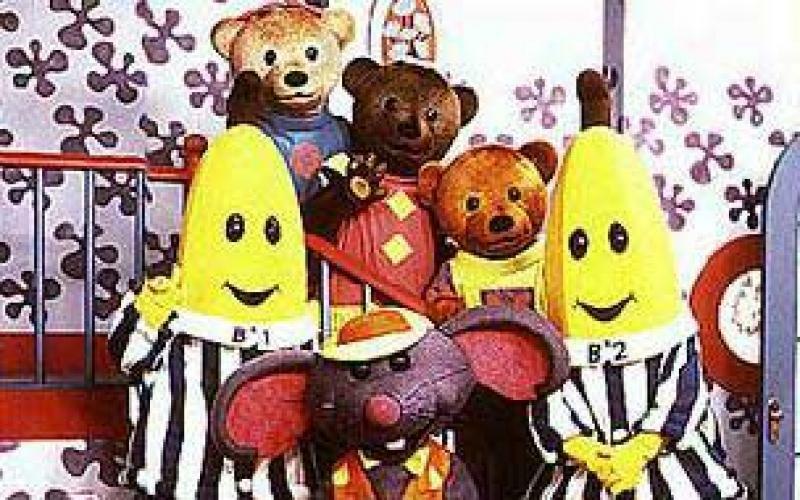 Where to countdown Bananas in Pyjamas air dates? Is Bananas in Pyjamas worth watching? B1 and B2 are like most children; they love to play and joke around, and spend time with their friends. However, what’s different about them is that they’re actually bananas! Not only that, but they’re bananas who wear pyjamas! They live at Cuddles Avenue, near their three teddy bear friends: Amy, Morgan and Lulu. They also spend time with a rat in a hat, who often attempts to come up with schemes that the bananas typically foil. All in all, life is pretty exciting at Cuddles Avenue, and you’re encouraged to stop by and see what the show is all about. EpisoDate.com is your TV show guide to Countdown Bananas in Pyjamas Episode Air Dates and to stay in touch with Bananas in Pyjamas next episode Air Date and your others favorite TV Shows. Add the shows you like to a "Watchlist" and let the site take it from there.